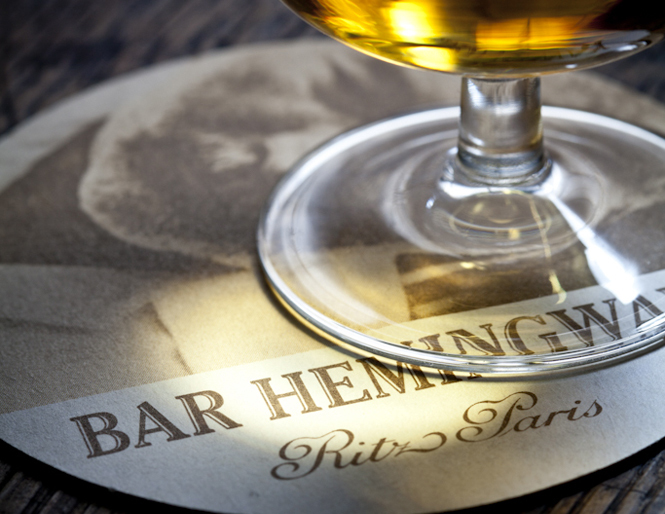 On the occasion of Ernest Hemingway's date of birth centennary, The Ritz Hotel in Paris was willing to renovate its main bar visual identity. This bar being the cultural treasure of the the Hotel. The new logo and typhographical work pay a literary tribute to its prestigious host. 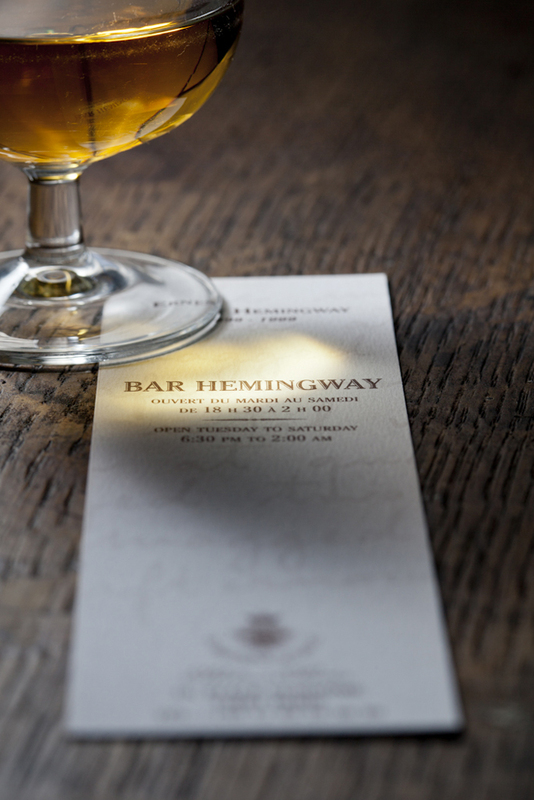 The graphic charter is a reminiscence of the intimate atmosphere filled with the smell of leather armchairs and the curls of cigar smokers. 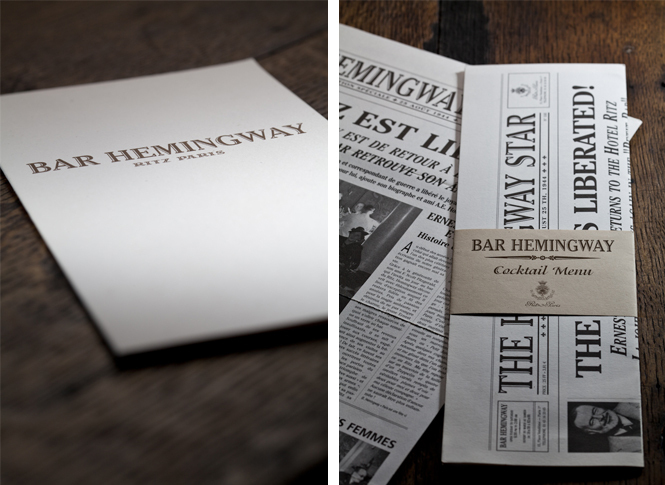 The "Hemingway Star" menu which looks like a vintage newpaper mix cocktail recipes with tales and anecdotes of the place in past times.